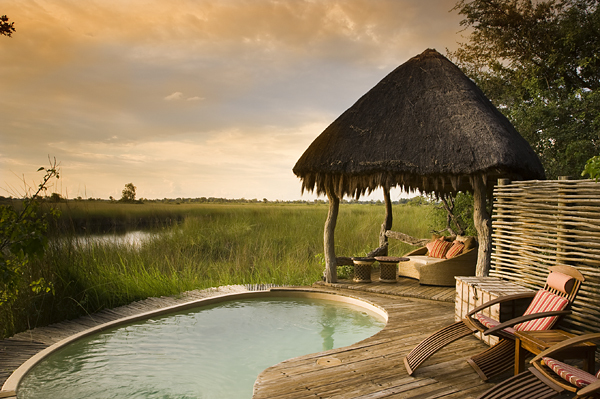 Although over 80 fish species occur in the Okavango Delta, the species most sought after by recreational fishermen include tigerfish, nembwe with various other tilapia (bream) species and African pike. In the winter months fishing is not that productive due to cooler conditions. The summer months (Sept-April), when waters are warmer, offer far better fishing opportunities with the peak being October and November. A new fishing law prohibits fishing in Botswana in January and February for fish breeding purposes. 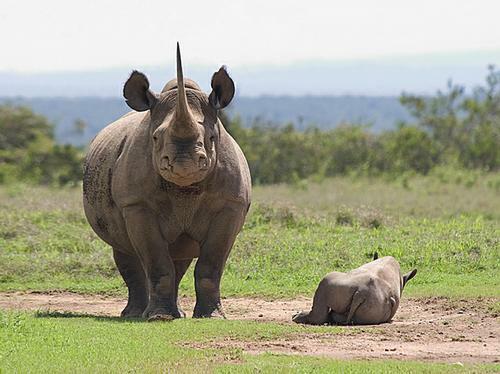 Catch and release is practised at all Wilderness Safaris and Safari Adventure Company camps. 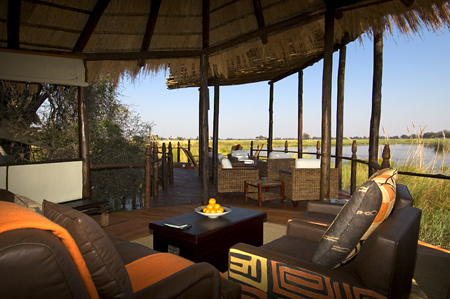 Whilst none of their camps in Botswana are sold as ‘fishing camps’ per se, they are able to offer this as an activity at the following camps: Banoka Bush Camp, Xigera, Jacana, Jao, Kwetsani, Tubu Tree, Little Vumbura, Vumbura Plains, Seba, Abu, Selinda, Zarafa, Savuti, Kings Pool and DumaTau. Only a basic supply of equipment is offered, so avid fishermen are welcome to bring their own equipment along. 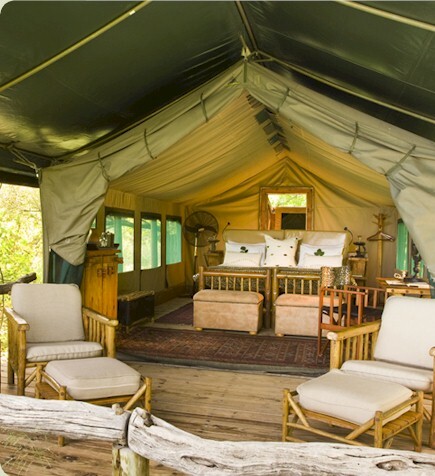 Sanctuary Baines’ Camp now offers private “star baths” for honeymooners guests celebrating anniversaries and can be requested in advance during the summer months of the year, in addition to the already popular “sleeping under the stars” experience. 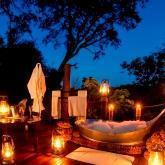 Guests returning from their night drive will be surprised with a romantic, star bath waiting on their viewing deck. Imagine soaking up the scenery of the shimmering waters of the Boro River while sipping sparkling wine under the stars. 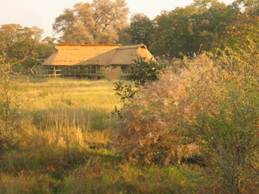 The free-standing traditional Botswana-style zinc baths come complete with hot and cold water taps as well as environmentally-friendly Africology products. Mobile canvas screens ensure complete privacy. 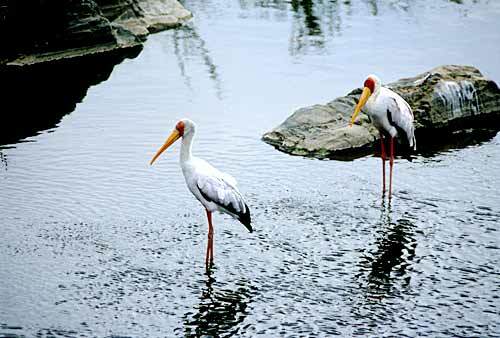 The Delta is a haven for wildlife that is sustained by the year-round abundance of water and attracts stunning water birds. It is the breeding time for and many migrant birds such as the Southern Carmine Bee-Eater. The heronries have come alive with chirping young birds which are a treat to photograph! 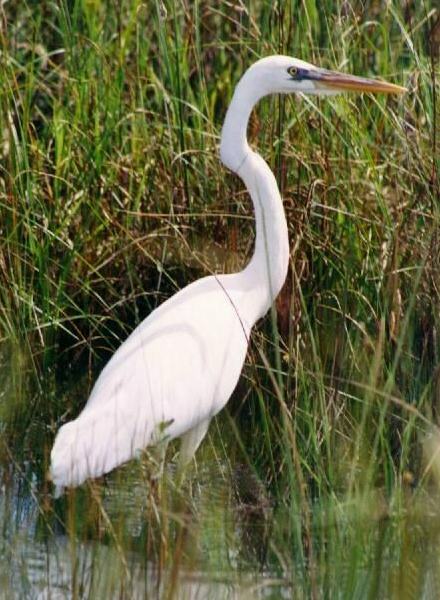 Bird enthusiasts can explore the delta waterways by motorboat, a birder’s paradise, especially for herons and storks in the breeding season. 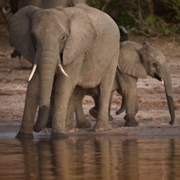 Botswana offers some of Africa’s finest birding. November to March is the most productive time of year to see birds (when the number of bird species is at its highest with migratory species having arrived to join Botswana’s resident species). 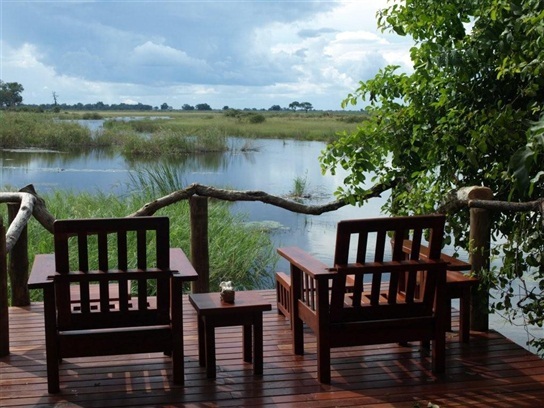 The northern wetlands are the best places in Africa to see the near-endemic Slaty Egrets, the endangered Wattled Cranes and the huge Pel’s Fishing Owls and harbour an unrivalled selection of herons, storks and other egrets.